Description: Through a contest opened to nonprofits in the community in the fall of 2015, our After School Matters students selected Amor de Dios Church for their summer beautification project. The church is central to the community and serves its constituents not only as a place of worship but also as a community center and food pantry. 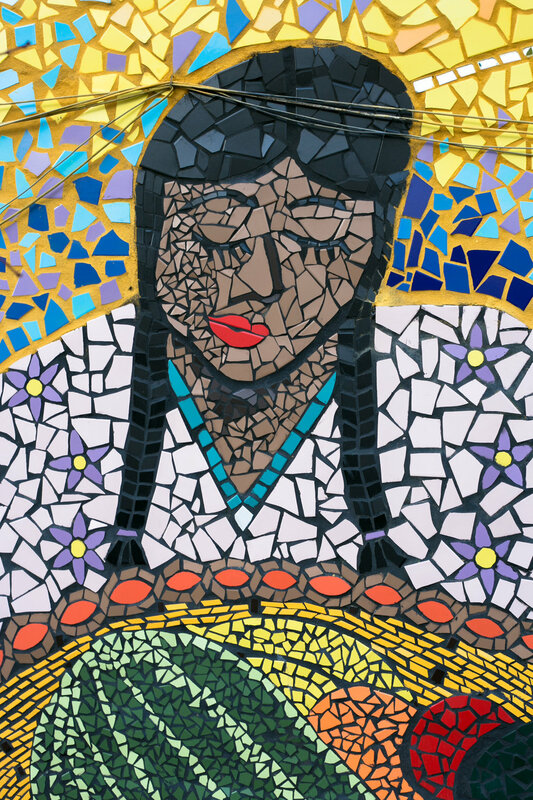 So, the students designed the mural to reflect the culture and contributions of the church to the neighborhood residents by depicting a woman offering fresh food flanked by a mayan calendar-inspired sun, fruit tree, and flowers.